Which shifts are you able to work? Have you ever worked in a data center previously? This is a unique opportunity to expand your skills and experience in critical infrastructure facilities operations with one of the largest full-solution data center providers in the world. You will join a talented team of professionals at our growing, state-of-the-art campus in Ashburn, VA, where you'll be assigned to a premier facility with over a million square feet! As Data Center Facilities Engineer II, you will contribute to the oversight and monitoring of building operations, HVAC, electrical, BMS, emergency generators and fire/life safety systems. Critical infrastructure is the wave of the future in facilities management, and we are proactive about team building as well as professional development. As Digital Realty and the Ashburn campus continues to grow, we'll be looking for proven performers to move up. 3+ years of experience in mission critical facilities operating / engineering, including experience with mission critical infrastructure (e.g. 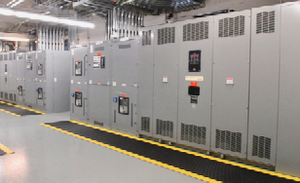 UPS, HVAC, generators, cooling, fire/life safety systems, BMS) required. 5+ years of experience preferred. Expert, hands-on electrical or mechanical skill and competence in the area of non-expertise (for example, electrical expertise with mechanical competence or vice versa). The ideal candidate will have both. Strong technical writing skills, with the ability to effectively write SOPs or MOPs for automated building controls. Ability to work independently while also serving as a strong member of the team. Professional communication and interpersonal skills to effectively interact with internal and external clients. 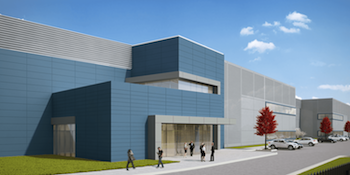 Pictured: Surrounded by a secure 10 ft. metal fence, with nearly 3 million square feet of land for potential growth and expansion, Digital Realty’s data center in Building L at 44274 Round Table Plaza is perfect for secure large-scale deployments in the Dulles Technology Corridor of Northern Virginia. The facility also benefits from connectivity to our Digital Ashburn campus ecosystem less than a mile away. Reporting to the Manager – Facility Engineering, you will join a talented and growing team covering several data centers across Digital Realty's expanding Northern Virginia portfolio. You will be assigned to our state-of-the-art "L" building. Pivotal to your success will be your ability to troubleshoot and repair equipment and systems independently. You should enjoy learning and soak up information from peers and leaders, be eager to expand your skills, and willing to step up and take on a variety of duties. Video: take a tour of Digital Ashburn, strategically located on a 98-acre site in the Dulles technology corridor of Northern Virginia. Your primary focus, of course, will be on the critical infrastructure, but you'll share responsibility for the entire site and most likely will gain experience in areas that are new to you, including IT. In addition, we are committed to helping our people grow professionally, including providing training opportunities. You'll also won't bounce for building to building at the campus, but will focus on your assigned location, meaning you'll have the opportunity to learn it very well. While you could be challenged in this role for years to come, if you're driven to further advance your career, success in this position could set you up for a Facilities Engineer III role, and beyond. In time you could work up to Data Center Manager if you have the drive and desire! We more than two million feet of data floor and strong demand and ongoing growth, we anticipate ample opportunity in Ashburn. In addition to a competitive wage and discretionary bonus potential, we offer a comprehensive benefits package that includes all you'd expect such as insurances, multiple flexible spending accounts, and a 401(k) plan, along with some nice surprises, such as a low employee contribution on health insurance, a generous match for the 401(k), a pet insurance offering and more! We think you'll find our benefits meet and exceed your expectations. We work hard, but know that overwork leads to burnout and an unhappy, less effective team. While you will flex on occasion to meet demand, you will also enjoy work/life balance and have time in your life for important endeavors outside of work.